If you’ve been a Windows user for some time now, you must have experienced slow connection or slow browsing issue at some point. The problem can happen all of a sudden, even for those users with blazing fast internet connection speeds. We hope that this post will help Windows 8, 8.1, and 10 users fix this frustrating issue. Open the control panel (tips on how to do are provided below). Type troubleshooter in the search box above. The first thing that you must do as an internet user is to know what type of internet connection you have. There are usually three types of internet connection today: dial-up, DSL, and cable. Should you have a choice, always pick cable as it tends to be faster in general. With today’s highly bandwidth demanding contents, using dial-up is not recommended so we suggest that you stick to either cable or DSL. Depending on your area and Internet Service Provider (ISP), there may be a FiOS (Fiber Optic Service) service available so make sure to talk to your ISP about it. FiOS is faster compared to both DSL and cable which still uses copper wire technology. FiOS connects hosts using light over an optical network and it can provide extremely fast internet connection. One of the usual reasons for slow browsing issue many PC users encounter is slow download speed. It is thus necessary that you check if your machine is getting the estimated download speed to know if the cause of your problem is related to it. There are three terms that you must be familiar with when it comes to slow connection issue troubleshooting: ping, download speed, upload speed. Ping refers to how fast your machine gets a response after sending out a request. Ping is often used by gamers to measure how fast response time of a server is when an application sends a request. A fast ping is ideal when using applications that require fast responses, like when playing an online game. The lower the number of ping figure is, the better. Ping is measured in milliseconds (ms) so the lower the ms unit you receive, the better it is when you’re playing online. Download speed is what usually matters, especially for the huge majority of internet users around the world. Download speed is the rate your machine receives data from remote servers such as websites. The faster the download speed you’re paying your Internet Service Provider (ISP) for, the faster it is for your computer to pull data from websites. If your browser appears to linger longer when trying to load a website, download speed may be slow. Upload speed refers to how fast your computer sends out data to a website or remote server. This speed is important when you want to save something to a cloud service, or when you are simply trying to save your photos or videos to a social networking website like Facebook, Instagram, Youtube, etc. It’s also good to consider upload speed when you are fond of video chatting. Keep in mind that carriers often offer higher download speed over upload speed. To check what your connection’s ping, download speed, and upload speed are, simply visit a website that offers free speed test like speedtest.net. If you find out that you’re getting lower values for download and upload speed than what your carrier has promised, make sure that you talk to them about it. Wireless connection is prone to suffer from signal interference compared to users that link their machine to their modem directly by wire. In general, a wifi connection of a laptop can be affected by a number of factors like where it’s located and whether or not there are wireless devices in the vicinity. Wifi connection uses the same frequency that also being used by other common devices such as cordless phones, microwave ovens, gaming consoles and controllers, among other things. If a wireless device that uses the same frequency your wifi is is operating on, interference may disrupt your internet or even block all connection. The same can be said of your wireless router. Make sure that your router is not behind a thick concrete wall or glass to avoid degrading internet connection. If possible, make sure that your computer is as close as possible to the router, especially if you’re experiencing slow connection trouble. reset a browser’s settings to default. The exact steps vary by browser so we will provide the steps only for a few popular ones. Internet Explorer (IE) is the browser from Microsoft and usually comes as the default browser in machines that run Windows operating system. To improve your browsing experience, make sure that you do the steps below. Select Tools button (the one that looks like a gear icon). Look for the dropdown that allows you to show All add-ons. Find the add-on or toolbar you want to remove and click on the Disable button. Firefox from Mozilla Foundation is another popular PC browser so we want to provide steps on how to troubleshoot it here. To improve your browsing experience, make sure that you do the steps below. Pull up your Mozilla Firefox browser. Click the menu button (an icon with three horizontal lines on it) located on the upper right hand side. Select how much history you want to clear. Choose Add-ons to open the Add-ons Manager tab. Select the add-on you wish to disable. To re-enable the add-on, find it in the list of Add-ons and click Enable, then restart Firefox if required. Click Help or the question mark icon. Click the Refresh Firefox button in the upper-right corner of the Troubleshooting Information page. Developed by Opera Software, Opera is another popular browser that millions of users are using. If you are using this one, this troubleshooting may be helpful. Select the time period from which you’d like to remove history items using the Obliterate the following items from drop-down menu. Tick the checkboxes next to the specific browsing data you’d like to remove. Find the relevant extension, and click on “Disable” or “Uninstall”. First of all you need to “Show/display the hidden files by going under Control Panel>Folder Options>View tab>Select Show hidden files, folders and drives. Locate and delete the Operapref.ini file. Restart Opera and the file will be rebuilt. Developed by Google, Chrome is considered the number one browser in the world in terms of popularity. If you are using this one, this troubleshooting may be helpful. At the top right, click More More and thenSettings. Sometimes, slow downs in browsing or even freezing issues have been attributed to outdated network drivers. For this reason, you want to ensure that your computer’s local area network (LAN) as well as other network drivers that may be installed are all updated. Windows key + X button. This opens a menu in the lower-right corner of the screen, with Control Panel listed among its options. Windows key + I button. This opens the Settings menu of the charms bar on the right edge of the screen, which also features Control Panel. Windows key + R button. This is the simplest way to open Control panel. Now that you know how to pull up Control panel, you then need to update your network drivers. Select Network adapters and click on the drop-down arrow to show the network adapters. 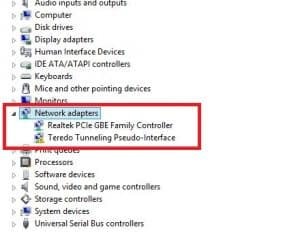 Right click on the network adapter like the one shown above. Wait for the PC to look for the driver online. Two of the most common reasons for internet connection speed issues can be blamed on viruses and spyware. Spyware are generally designed, as its name suggests, to spy. Spying is usually directed on your web browser by monitoring your internet use, keystrokes, etc. This spying activity tends to interfere with your browser and it can sometimes monopolize your internet connection. Sometimes, multiple spyware software can run simultaneously often resulting to severe slow connection issue or total loss of connectivity altogether. To fix the issue, you should install a good antispyware software. Viruses, on the other hand, can also lead to poor internet connection, especially if such virus has already propagated itself in the hard drive. 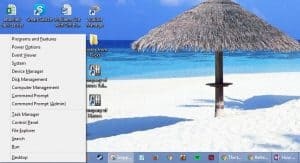 Some viruses can propagate at very fast rate that in a matter of minutes, your hard drive may be overwhelmed, effectively cutting down your computer’s performance. Most of the time, virus infection can result to overall slow computer performance or slow internet connection. Like spyware, viruses are best addressed by installing an antivirus software. Sometimes, the reason for slow connection or slow browsing issue can go beyond the usual list of causes and requires more advanced troubleshooting. If your issue remains even after doing all the steps above, the next step that you can try is to ensure that your computer contacts the right DNS or domain name server whenever it requests to access a website. DNS is basically a remote server that compiles domain names and associates each domain name to an IP address. Each website has a unique URL or universal resource locator, also known as the address that you type in the browser’s address bar. Each URL in turn is assigned a specific IP address so computers all over the web can identify it. DNS is system that collects URLs and associates each one an IP address. Thus, DNS makes it easier for users to simply just type in the URL such as Facebook.com instead 31.13.95.36 IP address. Log in to your computer with the account that has the elevated privileges. To determine the type of your account, kindly check this link. 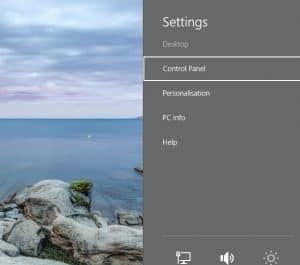 Click Desktop tile from the Start screen to go to the desktop window. Once on the desktop screen, hover the mouse to the bottom right corner of the window. From the displayed options, click Search. On the opened Search pane in the right, ensure that Apps category. On the same pane, type CMD in Apps field. From the displayed results on Apps window, right-click Command Prompt. From the displayed advanced options at the bottom of the window, click Run as administrator. 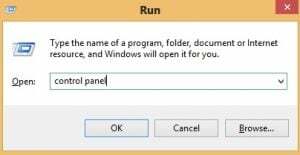 On the displayed User Account Control box, click Yes to provide the administrator approval to open the command prompt with the elevated privileges. On command prompt window, type IPCONFIG/FLUSHDNS command and press Enter to delete the DNS Cache. Should the problem persist after you’ve exhausted all troubleshooting, it’s not a bad idea to let your Internet Service Provider know about it. The problem may actually not on your end but on theirs. They may be having technical difficulties so you want to contact them or visit their website for information. Keep in mind that there are many moving parts when it comes to the complicated digital world today. There’s a chance that somewhere along other connectivity points, other factors may be playing a role in the slow connection issue you’re having. Some ISPs may require that you install a special software in order to connect to their services. If you happen to have such software, make sure to contact your ISP to see if such app needs to be checked.